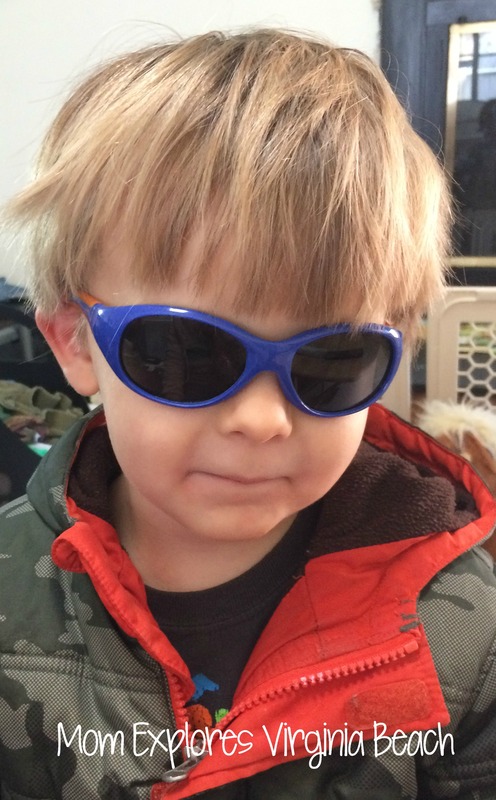 I was recently put in contact with a kid’s sunglasses company called “Real Kids Shades”. 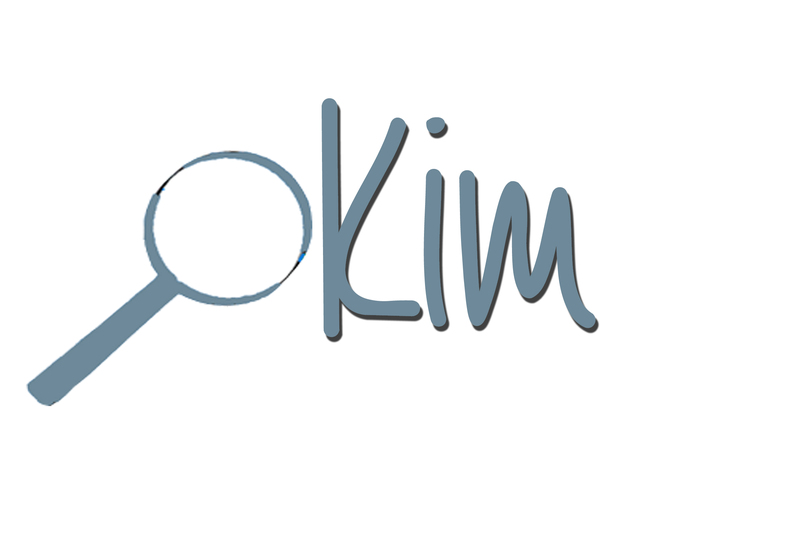 I did a little research on them, and they’re an awesome company! They’re currently working with “Prevent Blindness America” to educate the public on the importance of protecting children’s eyes. Something I read that is extremely true for me, and I know a lot of others as well, if that I am always vigilant about covering my son in sunscreen and bug spray when we go out. I want him to be safe and protected, after all! However, I never really considered covering his eyes! I won’t leave the house without my sunglasses, though! Totally unfair, I know, but now we can remedy that! 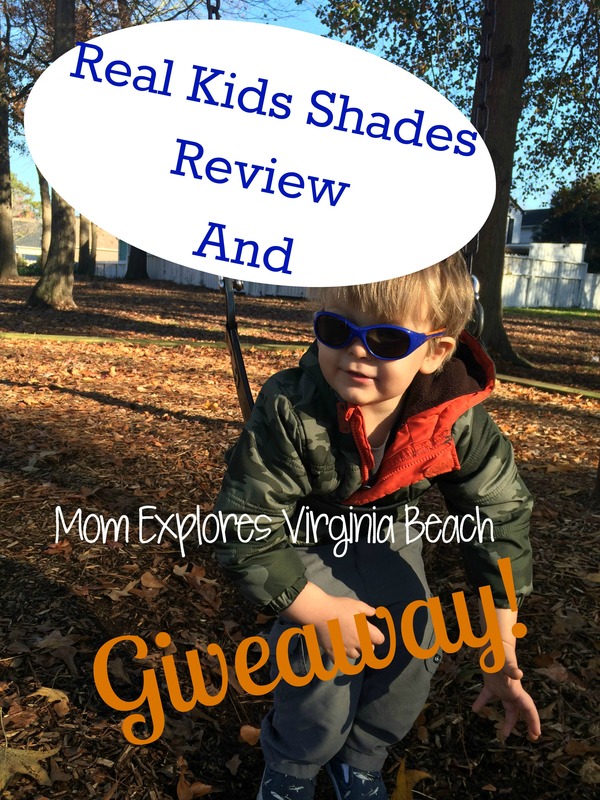 Real Kids Shades (Check out their site here!) has many styles, sizes, and colors for every child! The sizes are: Baby (0+), Toddler (2+), Kids (4+), Youth (7+), and Young adult. 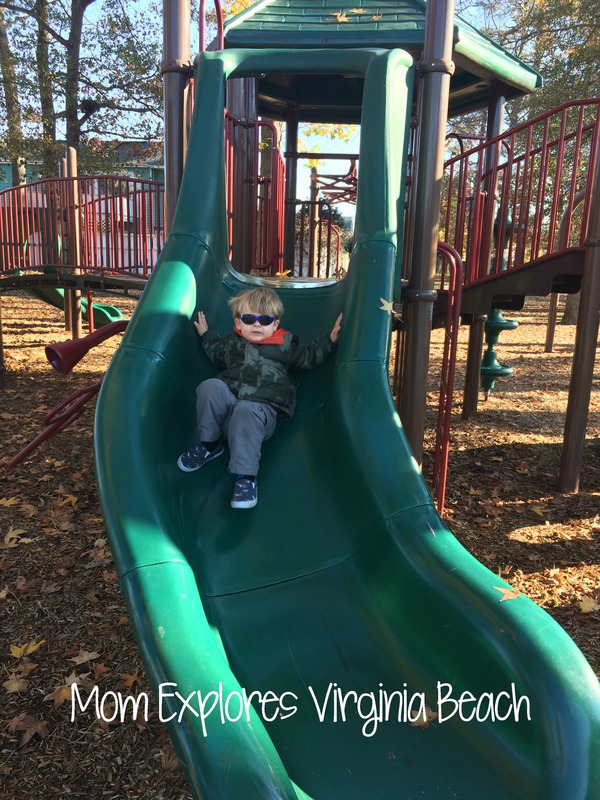 My son is just over 2 ½, so we went for the Toddler size, in the Explorer style, with P2 Polarized lenses, in the navy/orange shades. It comes with an adjustable strap to keep it snugly on their head, which can be removed. The package arrived very quickly, was neatly packed, and came with a case! They’re giving free neoprene cases with each order, in addition to a 20% discount AND free shipping on each order (while supplies last) though January 4th! The day they arrived was rainy and overcast, so we waited a day to give them a try outside! We tried them on inside, where my son said he didn’t like the strap. So, I removed it and he happily continued wearing them. I think the size/shape of his head, not anything wrong with the design of the strap itself, was what made it uncomfortable for him. I inspected them closely and the arms of the glasses are very flexible, and the strap was adjustable, and we tried it looser and tighter. I am REALLY impressed with the quality of these glasses! 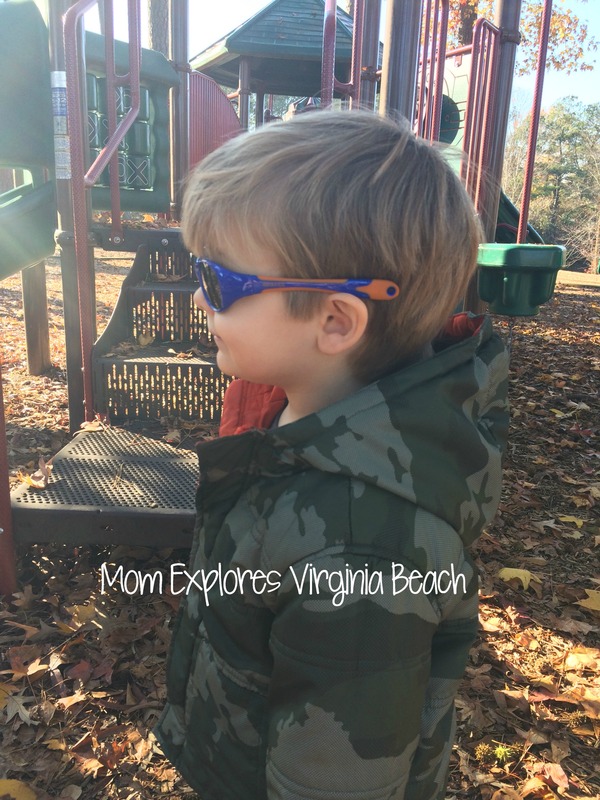 Not only do they protect your little ones eyes, but they’re stylish, and toddler-proof! 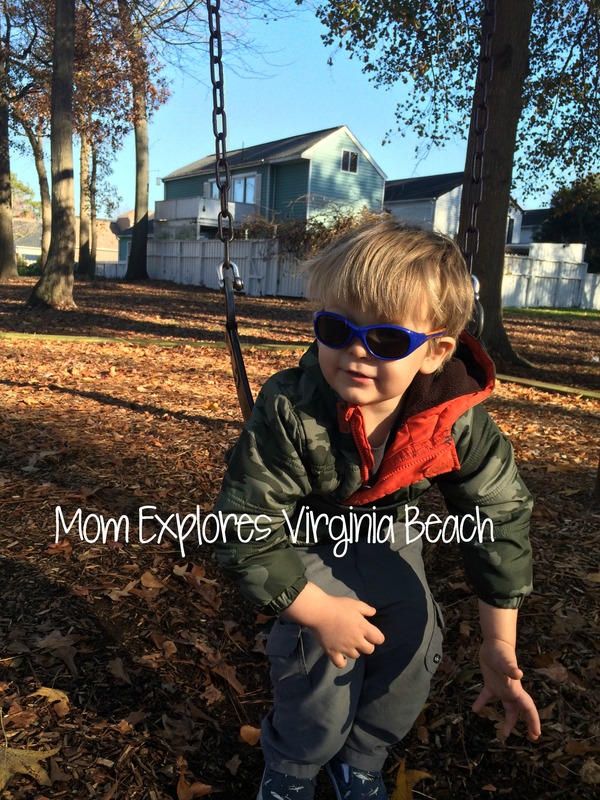 They have 100% UVA/UVB protection, shatterproof lenses, and wrap around frames. 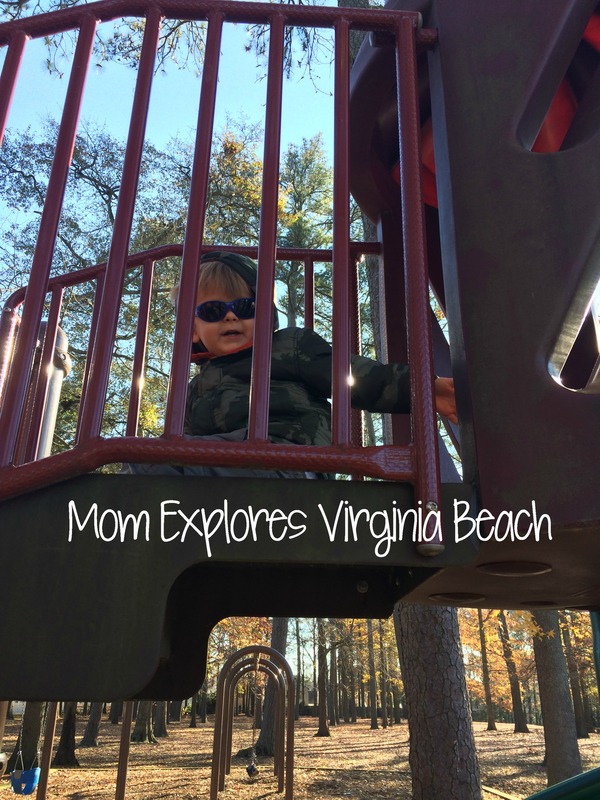 My active little guy tested the durability of these glasses at the playground, and we took some pictures for photographic evidence. Bottom Line: I completely recommend these, they’re soft, yet sturdy. I couldn’t imagine anything breaking them! They shipped quickly, and we love them! And here is your opportunity to get a pair of your own! Fill out the form below to enter our giveaway! You’ll be able to choose the style/color you’d like. Don’t forget to check out their website here to see all your options! 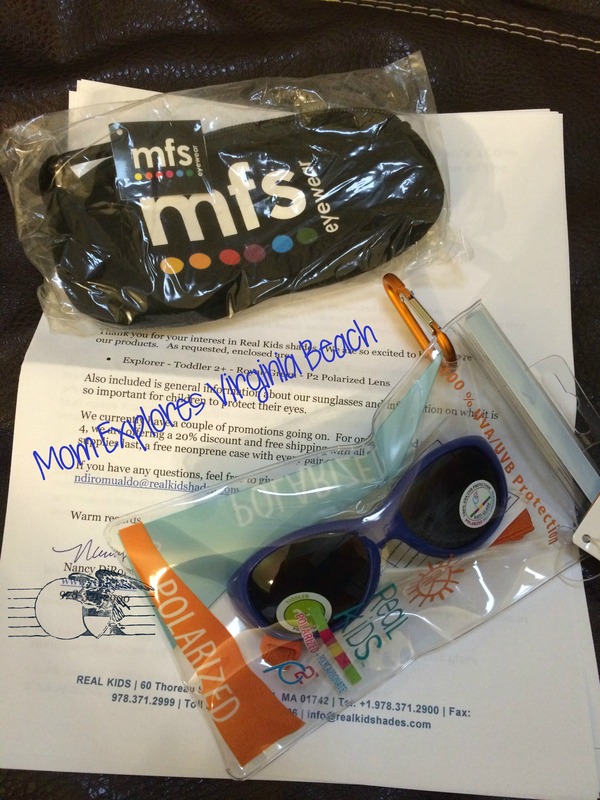 Disclaimer: I received a pair of sunglasses for the purposes to writing this review. The words and opinions in this review are my own. I know I need to be more vigilany about this! I heard lighter colored eyes get damaged more easily (not sure if thats true) but it makes me more nervous about my super pale girlie! I hadn’t heard that before, but it certainly makes sense! Glad to know I’m not alone! Good luck on the giveaway!